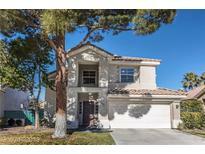 Below you can view all the homes for sale in the Montaire Summerlin subdivision located in Las Vegas Nevada. 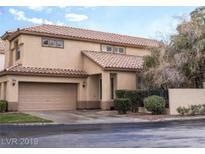 Listings in Montaire Summerlin are updated daily from data we receive from the Las Vegas multiple listing service. To learn more about any of these homes or to receive custom notifications when a new property is listed for sale in Montaire Summerlin, give us a call at 702-930-8014. An immaculate backyard is a real gem, featuring lush green landscaping and patio, making it an ideal space for entertaining! MLS#2090409. Huntington & Ellis, A Real Est. New water heater, paint, and laminate in master bath. Cozy, great locale! MLS#2071394. Elite Realty. Fabulous Home in Gated TPC Summerlin Golf Neighborhood on Culdesac*Main Floor Master w/Newly Updated Bath*New Quartz Vanity*Dual Under Mount Sinks* New Fixtures*Custom Tile*Frameless Shower*Kitchen w/SS GE Profile Appls*Lrg Island*Tile Floors*6" Base*Plantation Shutters*Vaulted*Transom Windows*Open,Light & Bright*Loft w Storage & Built-ins*Deep Back & Side Yard*Fire-pit*Fountain*Patio*Gas Stub*Tranquil*Laundry w/Sink & Cabinets*Storage Galore MLS#2068656. Realty ONE Group, Inc.
Beautyful Heated Pool And Spa For Those Hot Summer Days. MLS#2052295. Realty ONE Group, Inc.